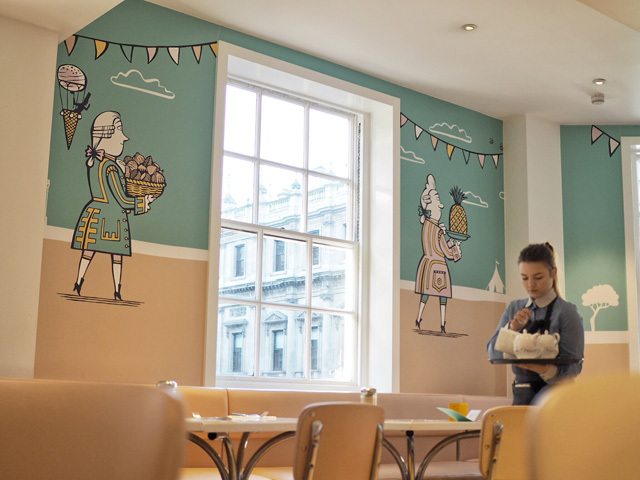 If Willy Wonka could escape to only one place in London, where all his chocolaty dreams would come true, I'm pretty sure we'd find him sitting with an oversized ice cream sundae, perhaps a Knickerbocker Glory, at The Parlour at Fortnum & Mason. This little hideaway, tucked away on the first floor of the famous department store, is a thing of perfectly pastel coloured dreams. On my first visit, I nicknamed the staff the "sugar babes," as they deliver a luxury sugar high that is unparalleled. 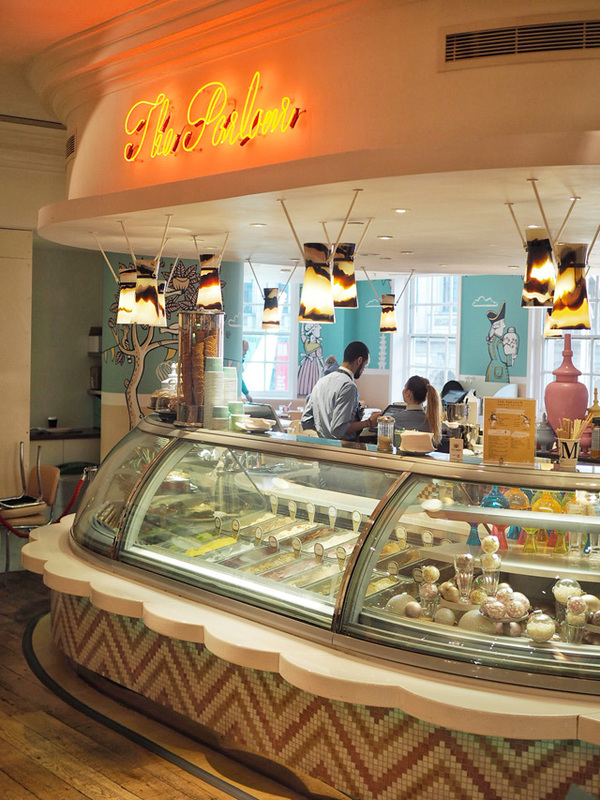 From creating your own sundae to trying the ice cream afternoon tea on for size, these folks are present to make your sugary dreams a reality. Just before coming back to the States for Christmas, I stopped into The Parlour at Fortnum & Mason for a hot chocolate with a friend. The best way to battle the cold is to wrap your fingers around a warm mug of hot cocoa. Is there any other way? We slipped into the booth, ordered up a delicious duo of sweet treats and enjoyed the view down Piccadilly as we waited. One tip here - popping into The Parlour for 10am is the best possible time for a visit. You'll have the place almost entirely to yourself and you can truly enjoy the view as Fortnums begins to fill up with shoppers in the early morning rush. Now, this isn't a place to be shy about you order. If you're on a diet, check yourself and your resolutions at the door. Order the biggest, most indulgent sundae on the menu and promise to get back on track another day. 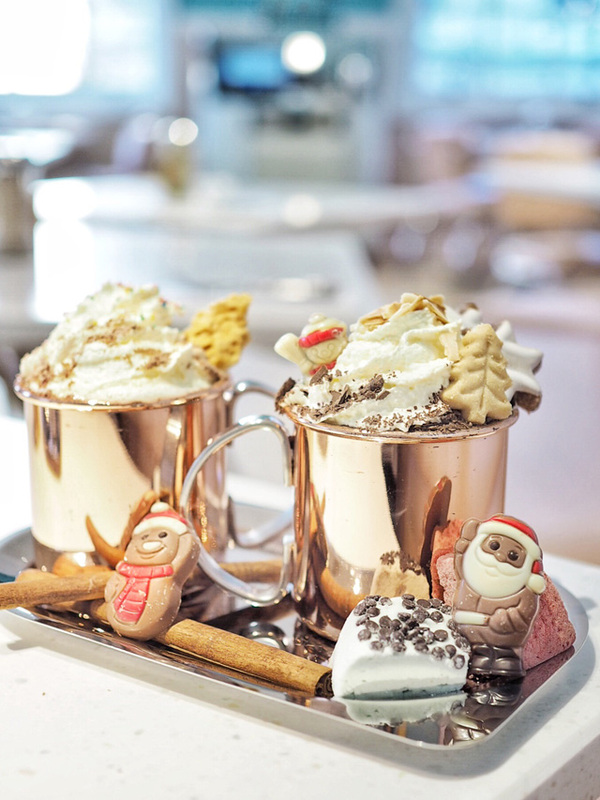 Or simply order a hot choc and treat each sip as your last sultry affair with chocolate! But whatever you do, don't come here and sit down to simply order a tea. The joy here, felt by guests and employees alike, is delivering epic treats like nothing you've ever had before. Challenge them, they will deliver. Challenge yourself and you'll be surprised how much room you have in your stomach. 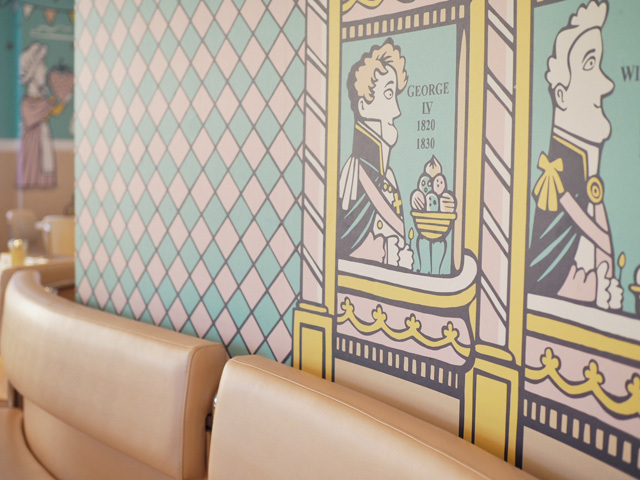 Whatever you do, find The Parlour and make it a part of your London experience.